Lodge of Union is a member of the UGLE Universities Scheme, which means we are now able to consider students from the age of 18 for membership – the only Lodge in West Sussex authorised to do so. Lodge of Union welcome University of Chichester Undergraduates 18+ to become Freemasons. Under the scheme we are able to launch young men on their way to a long and fruitful involvement in Freemasonry. At the end of your university course we will help you find a suitable Lodge wherever you may move, whether or not you also remain a member of Lodge of Union. We have links with other Universities Scheme Lodges near and far where you will be able meet other Freemasons of your age group with the same interest. You can read about the UGLE Universities Scheme. 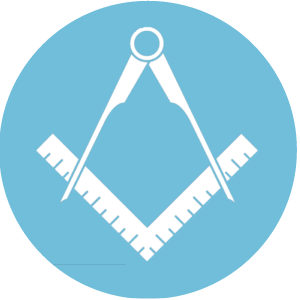 By exploring this site, you will find out more about Freemasonry generally and this the Lodge of Union No. 38 in particular. Get in touch – now! Your first port of call is to contact our Lodge secretary and he will fill in all the details. Including the students’ discounted membership fees, and arrange one or two Lodge members for an informal chat over a coffee. Bring along a friend if you like.